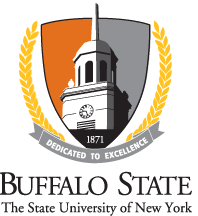 The Buffalo State Chemistry Department is well-equipped with modern instrumentation suitable for most aspects of chemical analysis, forensic investigation, and material characterization. The new Science and Mathematics Complex includes a 96,000-square-foot addition along the west side of the existing Science Building and houses new teaching and research labs, faculty offices, and instrumentation rooms. The new space creates an environment that cultivates interdisciplinary research activities among both students and faculty.